The FB Super Rapid Syringe Gel Extraction/PCR Clean Up Kit is super easy to use and super fast to isolate DNA fragments from PCR reactions, agarose gels, or enzymatic reactions. 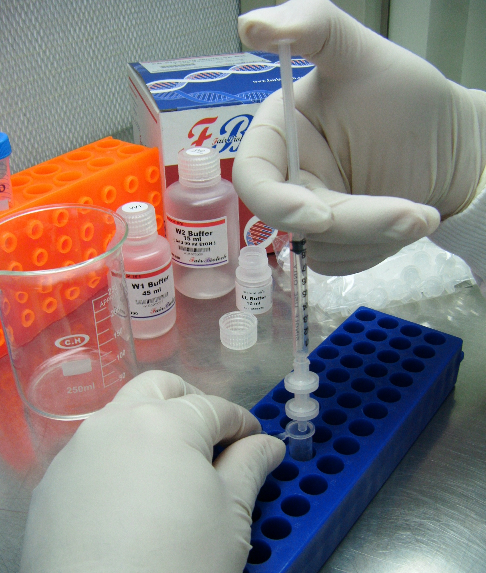 With few pushes of the syringe plunger, DNA fragments in specialized buffers are bound, purified and eluted through the syringe. 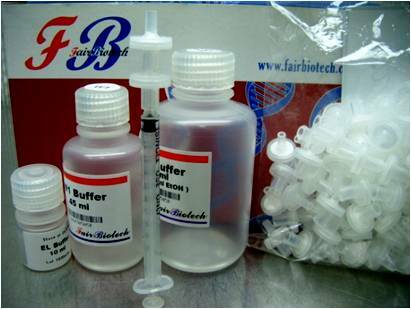 DNA purified with the kits is suitable for any subsequent application, such as ligation and transformation, sequencing, restriction enzyme digestion, labeling, PCR, in vitro transcription, or microinjection. The entire procedure can be completed within 10 minutes per sample.